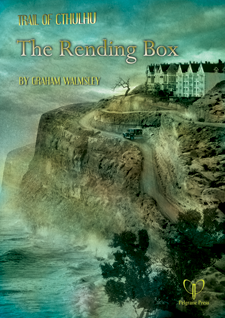 Graham Walmsley’s The Rending Box is moderate-sized (30 pages with handouts) adventure for Trail of Cthulhu (though it could be modified for Call of Cthulhu with little hassle). While it isn’t an overly challenging adventure, it perhaps puts too much potence into the hands (literally) of the players. Characters will find that Pandora had it easy with her little box. Huguenin’s artwork is appropriately gruesome for this chapter of the three-scenario Purist adventure. His cover piece is atmospheric while his interior works, such as the lovely Jakob Tulving removing his eyes so that he can see better looks like something from a 1950s pre-code horror comic book cover (that’s a compliment for those who don’t know me). I also love the detailed image of the box itself (a great handout to toss on the table before declaring “this is what will ruin your lives). The key aspect Walmsley drives home in The Rending Box is the stability and sanity loss characters experience through the course of playing in Lovecraft’s vast sandbox. 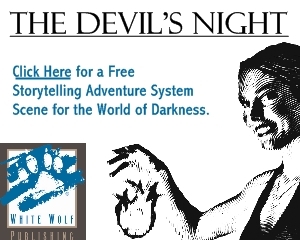 This adventure is less forgiving than the two before it, but feels most in-line. The scenario provides a slow decent towards an understanding of the Mythos that cannot be undone. One of the beauties of the adventure is how the author twists each drive towards rationalization, which leads towards desolation. 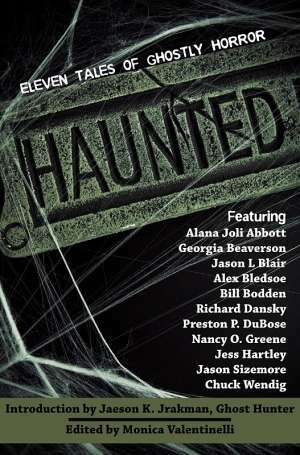 Excellent ideas on running madness are peppered throughout the book, many of which are thick with inspiration. 3. Something for the Cultists to worship? Check. 4. Pointlessness, bordering on the absurd? Play the game.